Spyker is paying GM $74 million in cash and $326 million in redeemable preference shares for Saab. DETROIT -- General Motors Co. has completed the sale of Saab to Dutch luxury sports car maker Spyker Cars NV, marking the first successful sale of one of its four unwanted U.S. brands. The transaction combines Saab Automobile and its 3,400 employees with Spyker Cars and its 110-plus workers under parent company Spyker Cars NV. “The focus as of today will be on getting back to business,” Jan Ake Jonsson, Saab CEO, told reporters. 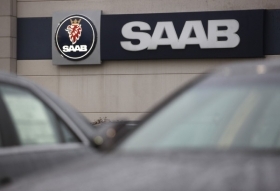 Executives want to refocus the identity of the Saab brand “to create an innovative, free-thinking company based on our Swedishness,” he said. The sale saves Saab from what appeared to be doom after Swedish supercar maker Koenigsegg Group AB backed out of a planned purchase in November. But Spyker -- whose logo bears a Latin phrase that translates, “For the tenacious, no road is impossible” -- made an offer during Saab's wind down. Negotiations took weeks, and skeptics included GM CEO Ed Whitacre. But in late January, Spyker inked an agreement to buy Saab. Completion of the Saab deal leaves GM facing a Feb. 28 deadline to complete a planned sale of Hummer to China's Sichuan Tengzhong Heavy Industrial Machinery Co. Saturn and Pontiac are being shut down. Spyker is paying GM $74 million in cash and $326 million in redeemable preference shares. Muller had already secured the $50 million needed to close the deal with GM, with the remaining $24 million due in July. He has also vowed that the new group will reach profitability in 2012, although neither Saab nor Spyker have made any money in the past decade. Muller said the company will focus on “real Saabs, Saab Saabs” and draw on the Swedish brand's heritage. “We will reinforce the emotional experience between Saab drivers and their cars,” he said. Saab's revival centers on a new 9-5 that launches this year, the arrival of the 9-4X crossover in 2011 and the debut of a new 9-3 in 2012. Saab's production- and intelligence-sharing agreement with GM lasts through the introduction of the new 9-3, Jonsson said. The new 9-5 is a key launch for Saab-Spyker. In addition, Muller told reporters that executives are considering an entry-level car reminiscent of the tear-drop-shaped 92, the Saab brand's first car, whose production began in December 1949. First, Muller and his team have to decide whether the market would accept it and line up funding for its production, he said. “There is a more than likely chance that that would succeed,” he said. Dealers desperate for new models will have to wait at least another week to place orders, Jonsson said. Saab should have its 2010 production plans finalized at that time, with assembly to start in three to four weeks, he said. 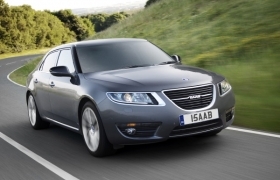 Saab produced just 20,791 cars last year as global sales slumped to 39,903 from 94,751 in 2008. But Muller aims to raise production to pre-crisis levels of about 100,000 to 125,000 within two years. Paul McVeigh and Reuters contributed to this report.